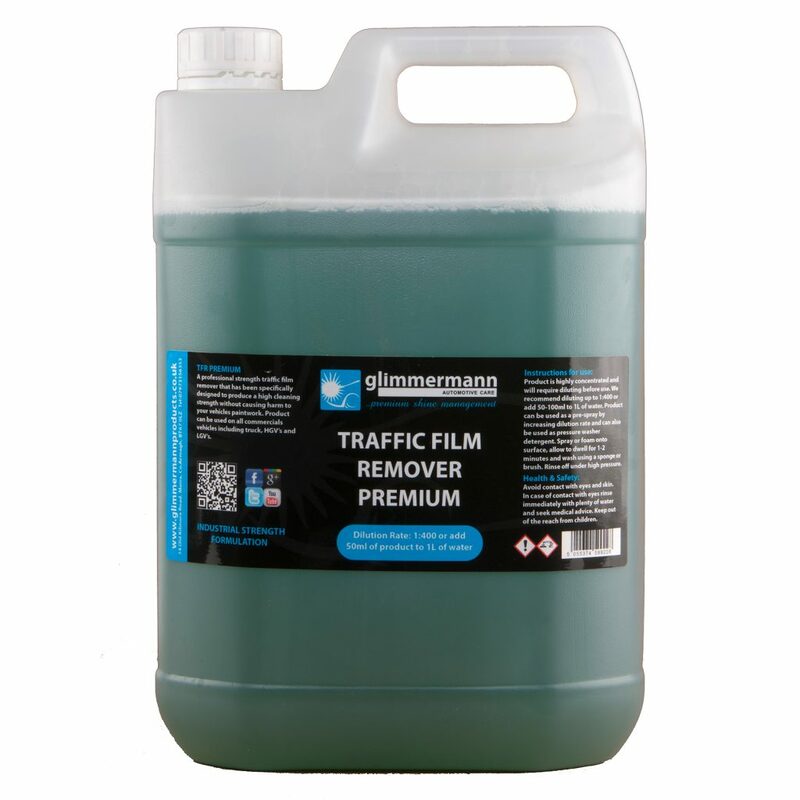 A professional strength traffic film remover that has been specifically designed to produce a high cleaning strength without causing harm to your vehicles paintwork. Product can be used on all commercials vehicles including truck, HGVs and LGVs. Product is highly concentrated and will require diluting before use. We recommend diluting up to 1:400 or add 50-100ml to 1L of water. Product can be used as a pre-spray by increasing dilution rate and can also be used as pressure washer detergent. Spray or foam onto surface, allow to dwell for 1-2 minutes and wash using a sponge or brush. Rinse off under high pressure.